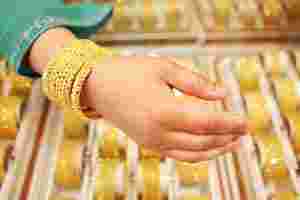 Mumbai: Gold demand in India remained sluggish on Monday as people held off buying during year-end holidays and an inauspicious month for purchases provided a further deterrent, dealers said. “Traditionally the current period remains a lean season. In rural areas people avoid buying due to Khar Mass, while in urban areas people spend the vacation with family," said Daman Prakash Rathod, director with Chennai-based wholesaler MNC Bullion. “Even jewellers go on vacation." Khar Mass is a month in the Hindu calendar from 16 December to 14 January which is considered inauspicious for gold buying and starting new ventures. “Unless prices move dramatically demand will remain weak," Rathod said. All US commodity and financial markets were closed on Monday for the Christmas holiday. International spot gold was flat in very thin volume at $1,604 an ounce. The rupee, which plays an important role in determining the landed cost of dollar-quoted gold, was at 52.77/78 to the dollar from Friday’s close of 52.9600/9675 on hopes stronger economic news from the United States could make investors more confident and support investment in emerging markets. A Reuters poll of 20 hedge fund managers, economists and traders showed international spot gold prices are expected to fall below $1,500 an ounce over the next three months and they are unlikely to retest September’s all-time highs until later 2012 at the earliest.